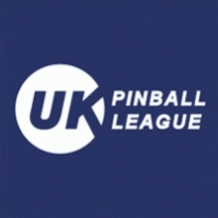 This is the final of the UK Pinball League which has been played in six regions across the UK throughout 2016. No results have been submitted for individual leagues. This will be the combined result of all league meetings. The finals will now have league-style single-machine score ranked qualifying on 5 machines, and then a play off for the top 8 in Division A and top 6 in Division B (due to lower numbers playing). A: 1st and 2nd get bye to final, 3rd and 4th bye to semi, 5th to 8th play three 4 player games with top 2 going through to the semi where they are joined by 3rd and 4th. Repeat with top 2 then joining 1st and 2nd qualifiers in final. B: 1st and 2nd get bye to final, 3rd to 6th play three 4 player games with top 2 going through to the semi where they are joined by 3rd and 4th. Repeat with top 2 then joining 1st and 2nd qualifiers in final. All matches in the knockout stages will be 4 player games over 3 machines with 3,2,1,0 points for 1st, 2nd, 3rd, 4th and machines will be drawn from the bank of 5 at random but need to be 3 different ones.